This summer has taught me more than anything that time flies. I mean, I know it flies during the school year and I know it flies during the holidays, but I thought that SURELY it would slow down this summer. It feels like we just let out of school and here I am trying to get in the mindset of heading back to school. 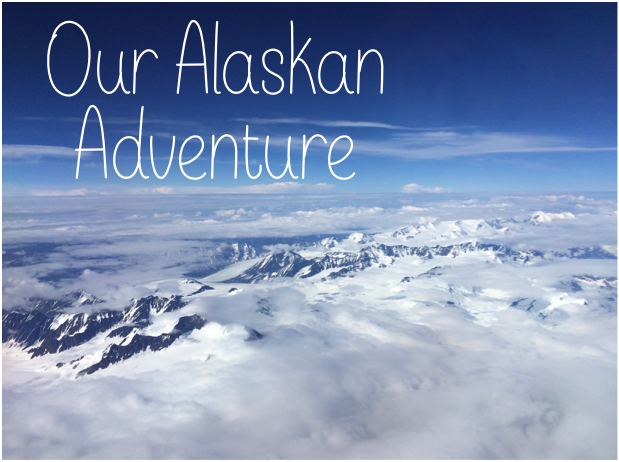 Speaking of time flying, I have been meaning to share our cruise to Alaska with you, which happened over a MONTH AGO...a whole MONTH! I promised myself that I would post as much as a could about this trip because, when I was researching it, I had a difficult time knowing what to prepare for. We chose to go to Alaska in late June and I was completely bumfuzzled about what to pack, how to prepare, and how to cruise to Alaska. I am also hoping to write a post later about what to pack, which completely stressed me out. I knew what to pack for a cruise to the Caribbean in the middle of the summer...but Alaska!?! Our trip consisted of a seven day cruise down southeastern Alaska with Celebrity Cruises. There were two route options for us to take, but our specific route took us from the sleepy port of Seward, AK down to Vancouver, BC. It was absolutely breathtaking! We began by taking a flight out of Baltimore into Seattle, WA. This was the first time I'd been on the west coast other than taking a trip out to California while I was in high school. The best part about the flight was being about to see Mt. St. Helen and Mt. Rainier from the air. AMAZING! You can see some of our photos below! :) We then flew from Seattle to Anchorage, AK. In all, we spent about 15 hours traveling and we almost saw a 24 hour day. Yikes!!! Upon landing in Anchorage, my husband, sister-in-law, brother-in-law, and I hopped into our rental car with my in-laws behind us to make the 2-hour journey down to Seward. One of my favorite memories of the trip was listening to the best of the 60s, 70s, and 80s as we cruised down Alaska Highway 1. My Starbucks buzz may have also helped the situation because caffeine was the only thing keeping me awake at that point. The ride down to Seward was gorgeous. The sun was still out at 9:30 pm, which was super weird for this North Carolinian/ Virginia (identity crisis moment...still haven't quite adapted to my new state identity.) In fact, when we pulled into Seward, people were hanging out and about at some of the restaurants and it was broad daylight out. Weird. Just weird. But incredibly intriguing at the same time! We had a quick bite to eat at Terry's Fish and Chips in Seward and then made our way to Box Canyon Caverns to lay our weary heads down for three hours of darkness and an attempt at sleep. Check out some of the pictures below. Get an epic playlist going. The drive is totally worthy of an amazing play list. You can access ours by clicking on the link here. Use the bathroom BEFORE leaving Anchorage. The only restrooms along the way are outhouses with holes in the ground, literally. I mean, after working at a camp for four summers, a hole in the ground doesn't really phase you. Bring some toilet paper with you, too. If you're hungry, eat before leaving Anchorage, or bring snacks. Snacks are always good. Or play to eat in Seward. Touch the mud (along the highway), stop and take pictures, and if its warm enough, drive with the windows down. There were plenty of picture stops along the way...and the mud, I was obsessed with the mud. I didn't really wear hiking shoes on the plane to be able to get out and explore as soon as we got there, so I just had to look at it from afar. The water looks just like brown silt. The train track and the highway border the ocean for quite a ways. Our drive was sunny, warm, and beautiful for the first hour. We were a little tired by this point...and by a little I mean A LOT!